Sometimes its just not practical to bring young children outside. To solve that problem there are new inside play locations located at the Whallonsburg Grange. 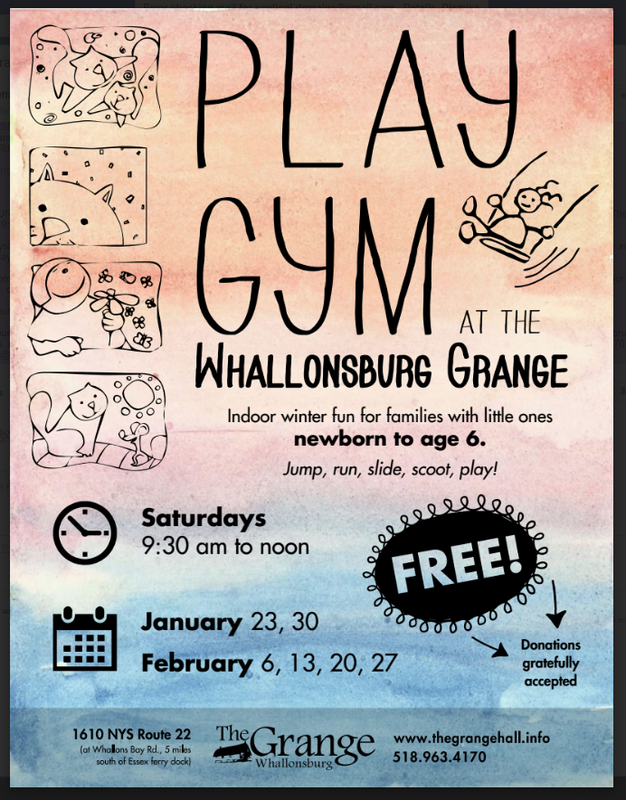 The Whallonsburg Grange Hall has opened a FREE six-week indoor play gym for children birth through six beginning January 23rd. Organized and coordinated by Gregg Van Deusen, a faculty member at Essex Lakeside School at Black Kettle Farm. 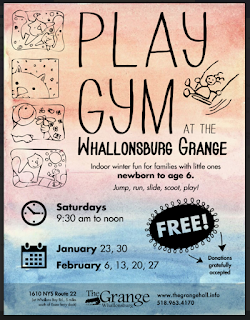 The free indoor play gym will be open on January 23,30 and February 6, 13, 20 and 27th from 9:30 am - noon. Families will have the opportunity to use a variety of play toys including slides and crawling tunnels for unstructured play.